Visionary and Academy Award(R)-winning director Hayao Miyazaki (2002, Best Animated Feature, SPIRITED AWAY) has created a heartwarming, music-filled and wonderful world in MY NEIGHBOR TOTORO, a delightfully animated family adventure. And now -- exclusively in this 2-Disc Special Edition DVD -- never-before-seen bonus features reveal even more of Totoro's fantastic world! Follow the adventures of Satsuki and her four-year-old sister Mei when they move into a new home in the countryside. To their delight, they discover that their new neighbor is a mysterious forest spirit called Totoro -- who can be seen only through the eyes of a child. Totoro introduces them to extraordinary characters -- including a cat that doubles as a bus! -- and takes them on an incredible journey. 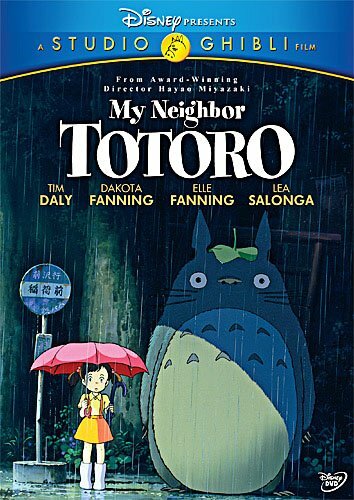 Bring home MY NEIGHBOR TOTORO from Studio Ghibli and Disney for your family's DVD library and experience the timeless classic film Roger Ebert calls "one of the very few that come along that are magical for all ages."